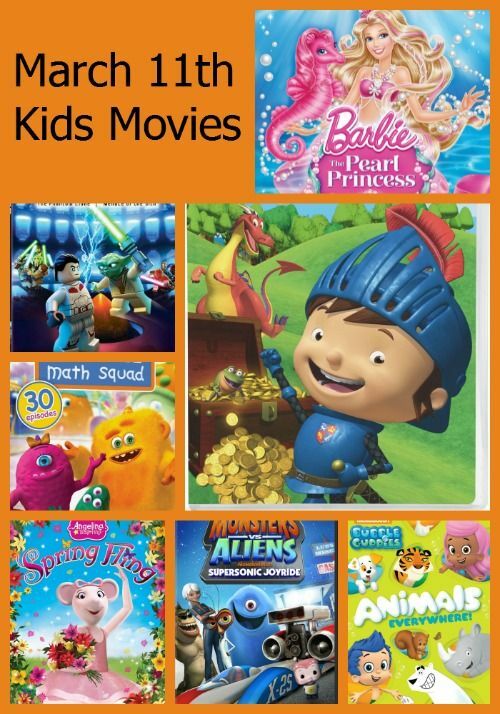 Wondering what great new movies for kids and families are releasing on DVD this spring? We have a list of some of the best upcoming March releases to help you out! Affiliate links are included for your buying convenience. March brings plenty of family fun in the movie department. Perfect timing too, with spring break right around the corner and Easter baskets to fill! Take a look at what’s coming out in March, aside from the Hunger Games: Catching Fire, of course. While that’s definitely a hot new release, it’s not exactly a great movie for young kids. An American Tail Blu-ray + Digital HD The mouse tale that started it all arrives on Blu-Ray for a whole new generation to love! I remember seeing this in theaters when I was little. Who couldn’t fall in love with Fievel as he journeys to be reunited with his family? 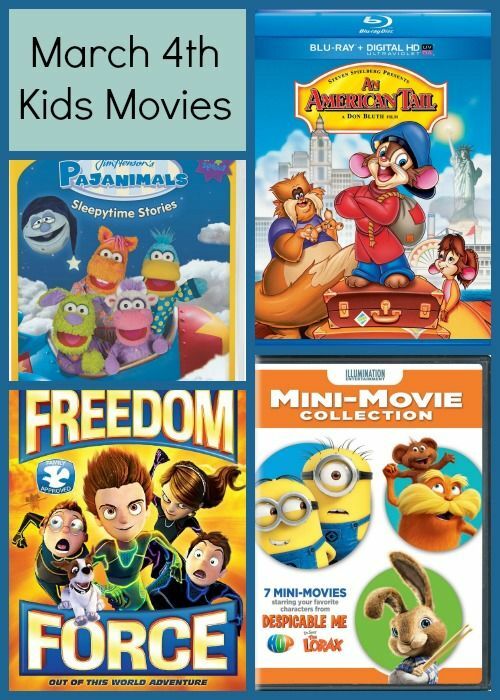 Illumination 7 Mini-Movie Collection This DVD features a fun collection of short films starring your kids favorites, like the Despicable Me minions, HOP characters and more. 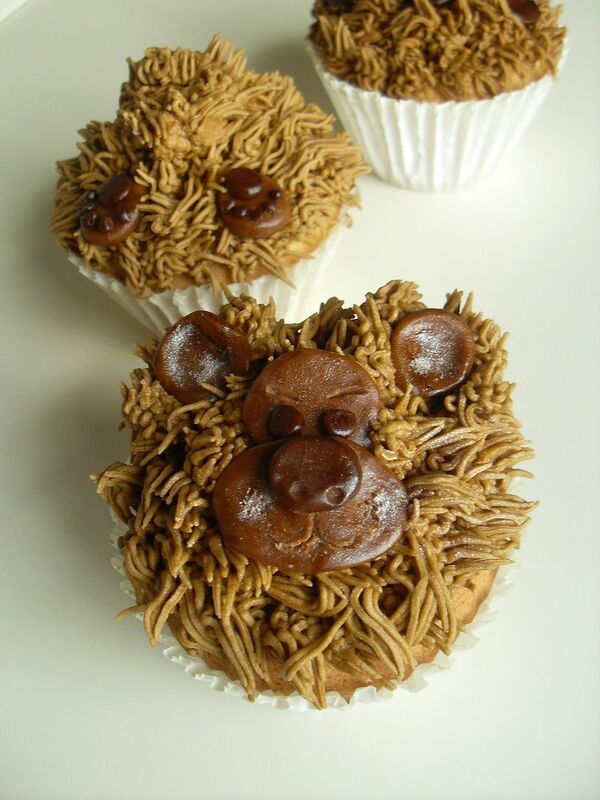 Pajanimals: Sleepytime Stories - Your littlest ones will love snuggling up and watching Pajaminals! Join all the characters as they travel to the Land of Hush and teach kids how to conquer things that keep them from sleep. Freedom Force A group of kids with special powers and their trusted dog are sent back in time on a mission to restore the famous stories! Barbie: The Pearl Princess Barbie stars as Lumina, a mermaid who dreams of being a princess! Lego Star Wars: The Yoda Chronicles While kids still have a bit of a wait until the LEGO movie comes out on DVD, this one may hold them over a bit! 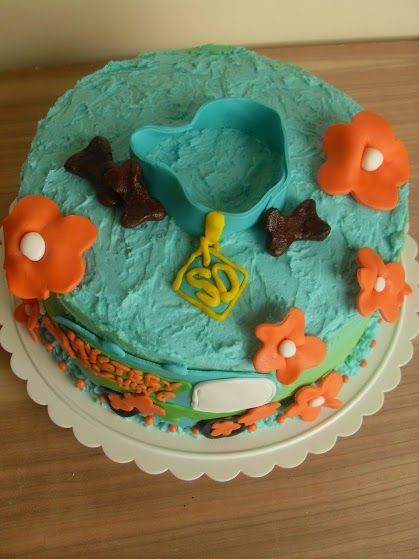 Bubble Guppies: Animals Everywhere My son is 8 and he still loves the Bubble Guppies! In this collection, the Guppies are making all sorts of animal friends. Features six episodes. Mike the Knight: Mike’s Treasure Hunt Mike the Knight is back with another fun set of adventures in the Kingdom of Glendragon! 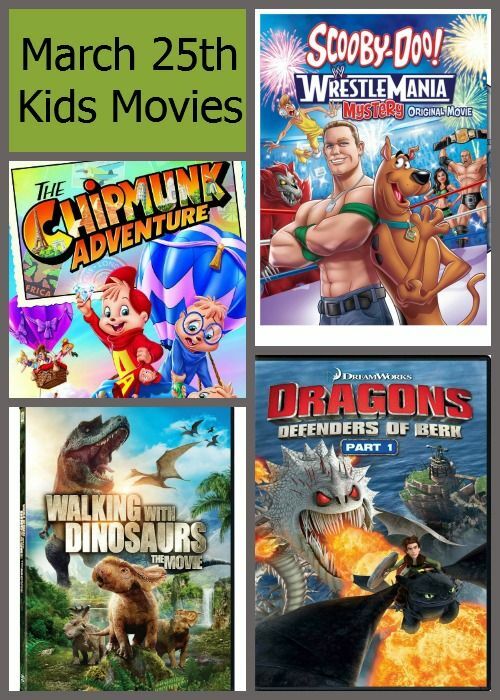 Monsters Vs Aliens: Supersonic Joyride Fans of Monsters vs. Aliens will love this action-packed collection of TV episodes inspired by DreamWorks Animation’s hit movie. Angelina Ballerina: Spring Fling Your own little ballerina will adore this sweet movie about the titular mouse and her ballet adventures. Monster Math Squad – Volume One – 30 Episodes Kids will love learning math skills with these super cute monsters to teach them. Features a whopping 30 episodes! Saving Mr. Banks This is another one that I didn’t get to see in theaters that I’m really looking forward to watching. I loved Mary Poppins as a kid, so I can’t wait to see this look into the creative process of the movie. Peppa Pig: My Birthday Party Jacob loved Peppa the Pig when he was smaller. 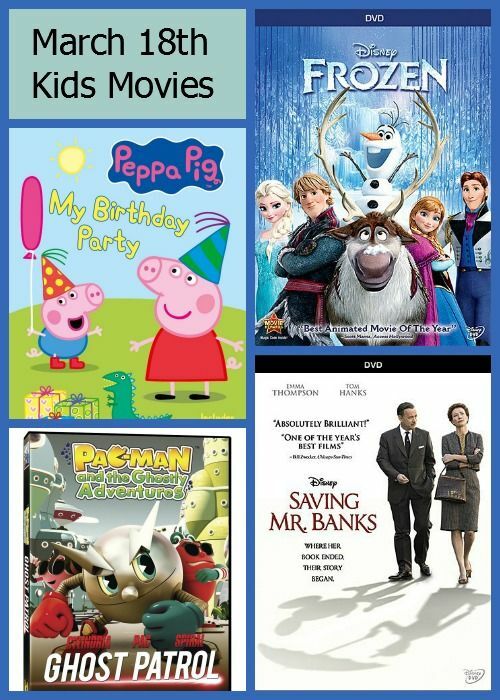 The “My Birthday Party” DVD welcomes preschoolers to the magic of Peppa’s world with 80 minutes of adventures featuring 14 fun-packed “Peppasodes” (12 regular plus 2 bonus). Pac-Man & The Ghostly Adventures: Ghost Patrol Have you seen the new Pac-Man show? The graphics are definitely cooler than the one that was on when I was little. Watch Pac-Man stop the crazy schemes of Betrayus and Dr. Buttocks! Scooby-Doo: Wrestlemania Mystery We have pretty much every single Scooby-Doo movie ever made. 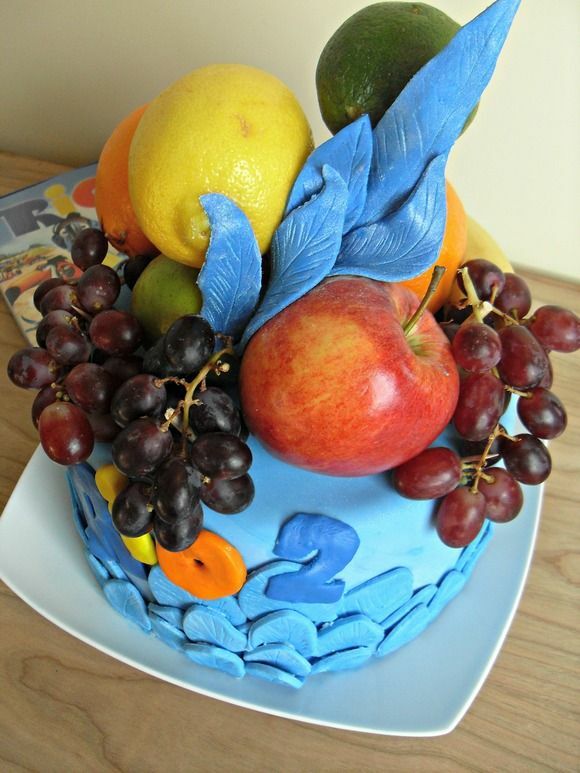 While I’m not sure I could get into this one, I know Jacob will like it! Walking With Dinosaurs Your dinosaur fans will love learning about the giant beasts of the past in this exciting documentary-style movie. Dragons: Defenders of Berk Part 1 We are huge How to Train Your Dragon fans here. Can’ wait until the second movie hits theaters this summer. 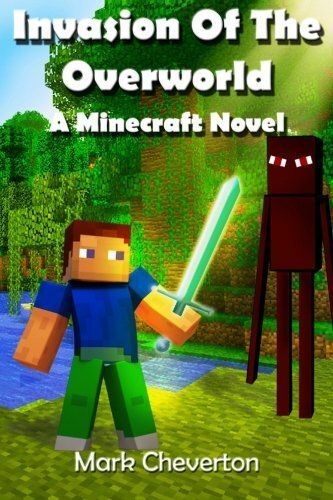 In the meantime, grab a copy of the first part of the TV series with 10 fun-filled animated adventures. Chipmunk Adventure Talk about a blast from the past! This 1987 Chipmunks movie is completely restored and ready to enthrall a whole new generation! 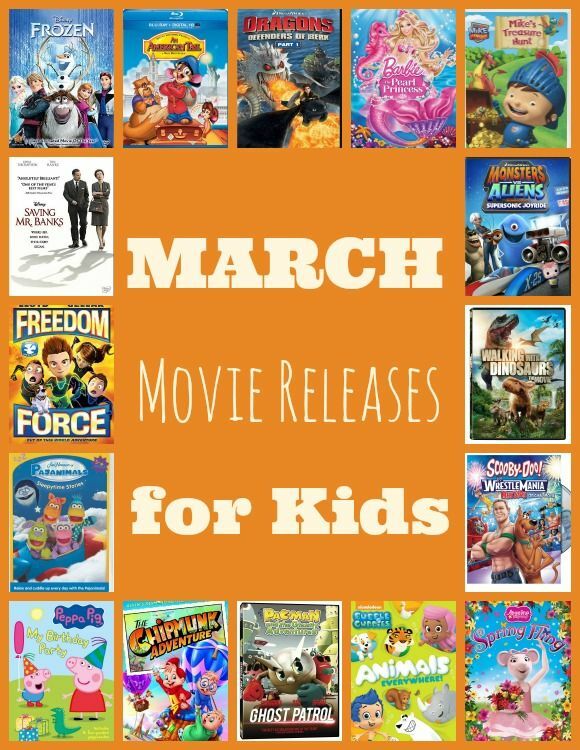 What March movies for kids are you most looking forward to seeing? Wow, that’s a lot of movies! I can;t wait to see Frozen again! We’ve seen quite a few of the major movies (Frozen, etc) but haven’t seen Walking with the Dinosaurs. I’m looking forward to the release of that one. My son love the Pajanimals so that one is a must. For me i’m looking forward to Saving Mr Banks.